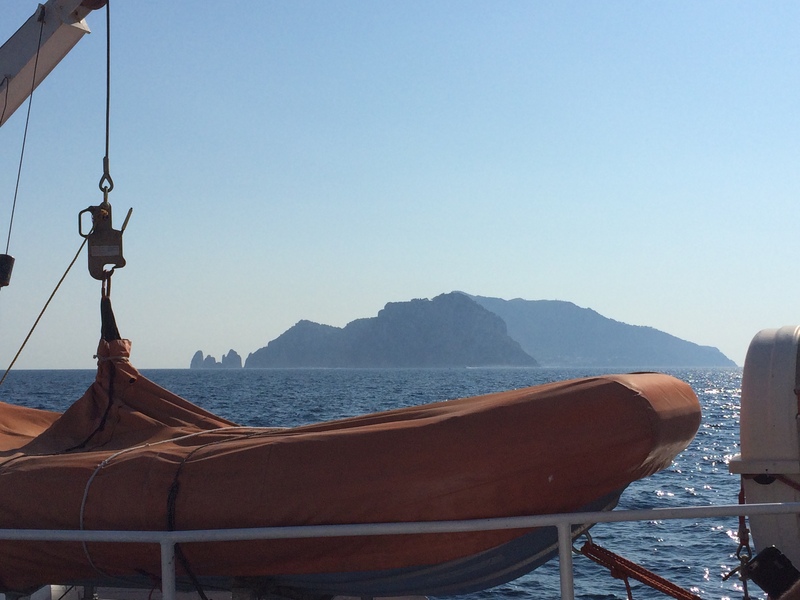 Our last day at the Amalfi Coast, we sailed to Sorrento to learn to make gelato. 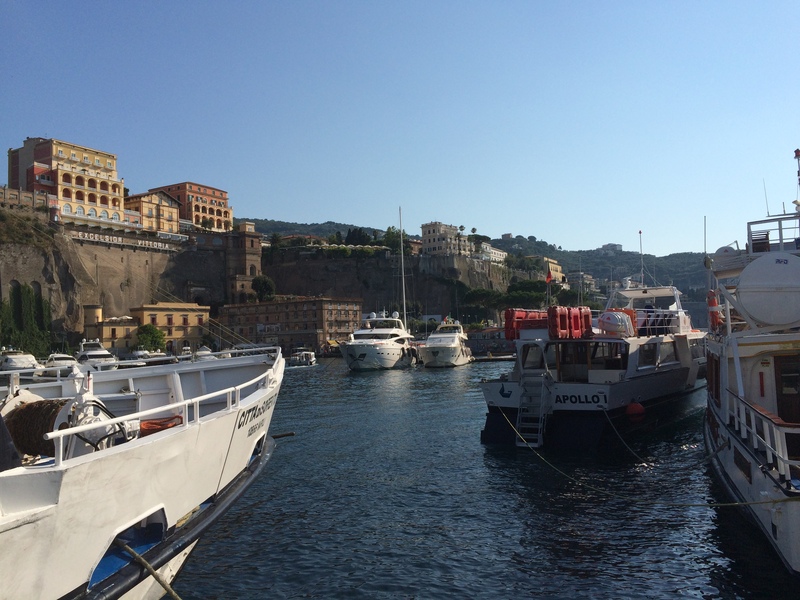 The trip was dramatic – Sorrento is built atop a cliff that juts steeply into the ocean, so when you sail into harbor, the city looms over you imposingly. We walked past a beach to take an elevator up to town. After a brief dash through the city, we arrived at Gelateria David. Owned and operated by Mario Gargiulo (a third generation gelato maker), the shop specializes in small batch gelato made using only all-natural ingredients. We love to make ice cream at home using liquid nitrogen, but (as I’ve mentioned before) I find there to be something distinctive about gelato. I wondered if we could replicate it at home. So, when I found out that Mario offered classes at his shop, I set up a reservation right away! When we arrived, Mario had already juiced the lemons for the sorbet we would be making. He asked a volunteer to incorporate the sugar and other ingredients, and, after a brief tutorial, poured the mixture into a gelato machine. 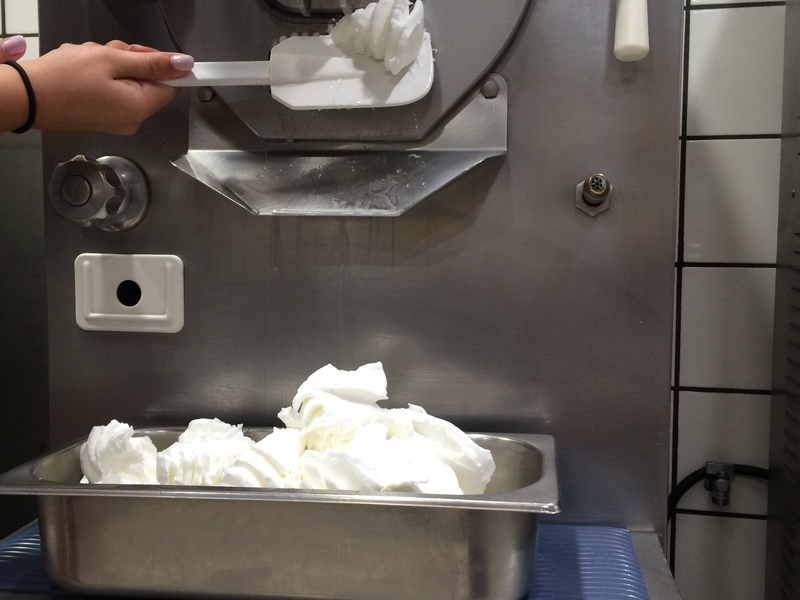 I was shocked by how quickly the machine churned out the gelato (under 5 minutes) and by how fluffy the gelato was when it emerged from the machine. 1. 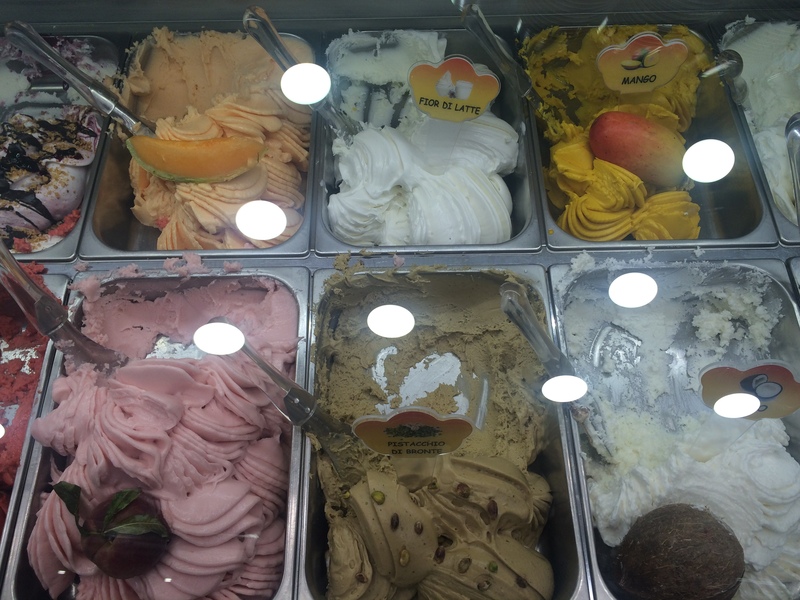 You can tell whether gelato is authentic by analyzing its color. 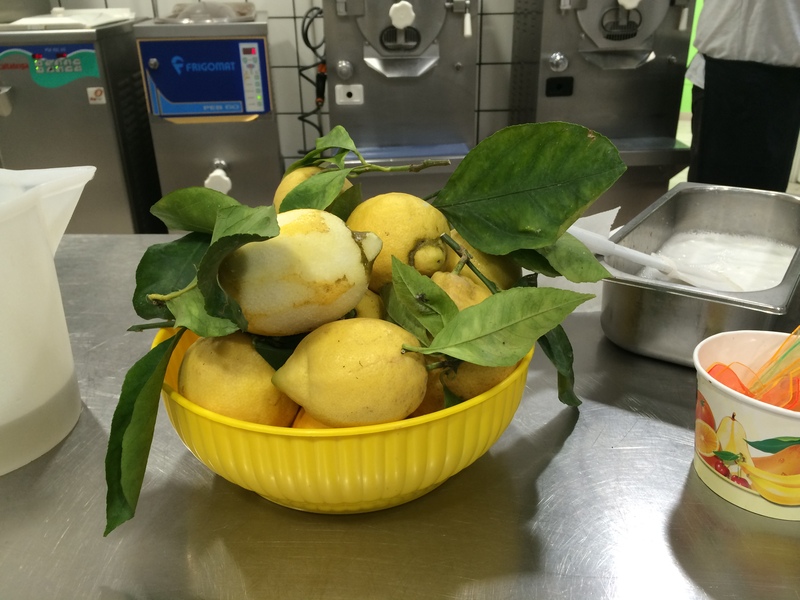 Natural ingredients (such as lemon) become paler through the gelato making process. So if your banana gelato is bright yellow or your pistachio gelato is bright green, there is probably food coloring added. Look for pastel colors. 2. 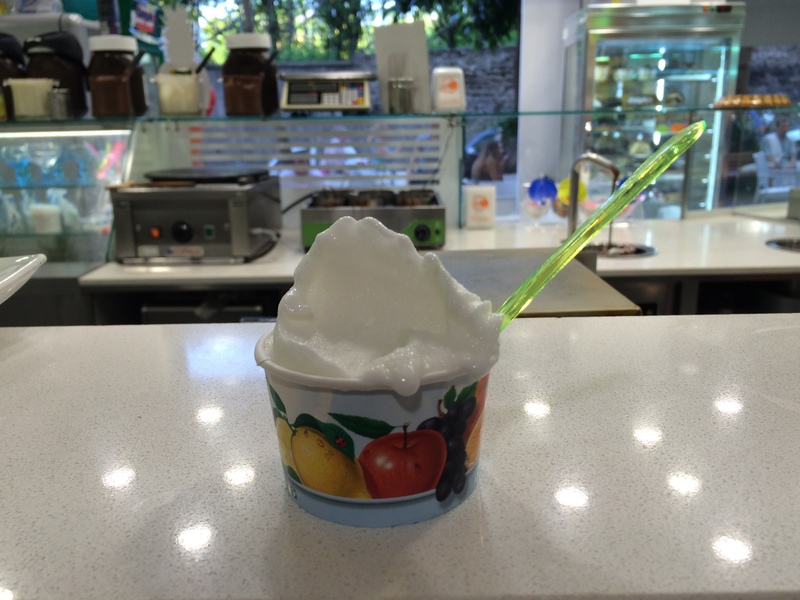 Gelato gets its distinctive texture from maintaining a proper ratio of sugar to other ingredients. To make it thicker, try adding egg yolk or carob (5 grams per liter). 3. To make herbal or floral gelato, heat the milk and add the fresh herbs or flowers. Cover the mixture with plastic wrap and refrigerate overnight before adding the other ingredients and freezing. How about you? Which flavors would you try? Have a lovely weekend!